If there is one thing needed while taking up the hobby of wargaming is tools. 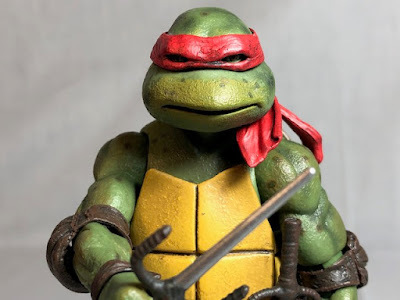 Unless you only by miniatures and terrain that is ready to use you're going to need supplies and lots of them which is where the Hobby Tool Kit comes in. 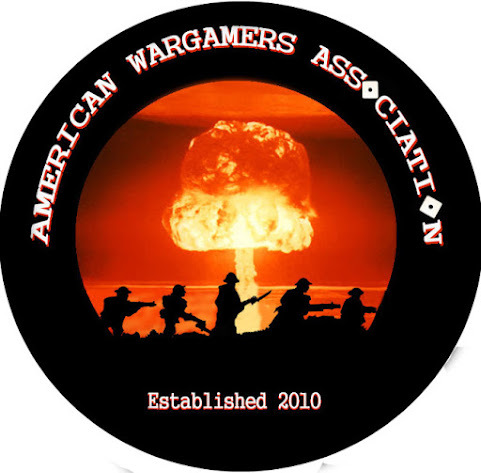 Wargamers that are new will get a lot of use out of these tools but the grizzled veteran who needs some new tools can also get a lot of use from this toolkit. Inside this toolkit, you'll find tools that can be used for a lot of purposes. 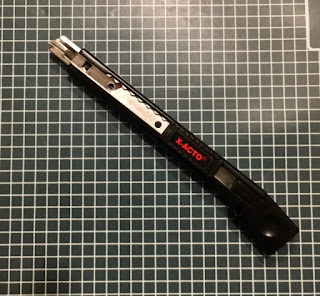 Side cutters are great for cutting out pieces from sprues but can also cut a number of things including metal and wood. A pin vice can be used for hole drilling into metal. You'll get a hobby knife with extra blades that can also cut all different things. I use the tweezers from this kit all the time from applying decals to basing static grass onto miniature bases. A small bottle of white glue is also included that I also used for gluing the static grass onto bases. The last item in this kit is a file which probably gets the most use out of all the tools. The file, cutters, and tweezers get the most use. I do not the pin vice much since most of the miniatures are already in one piece but when needed it did its job fine. 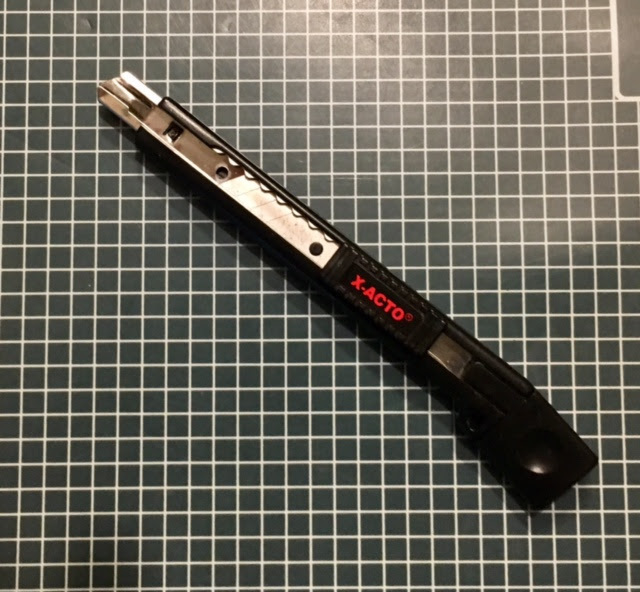 While the hobby knife is useful I usually use a small box cutter for cutting but the hobby knife has a small point on it which can get into small spaces than the box cutter. 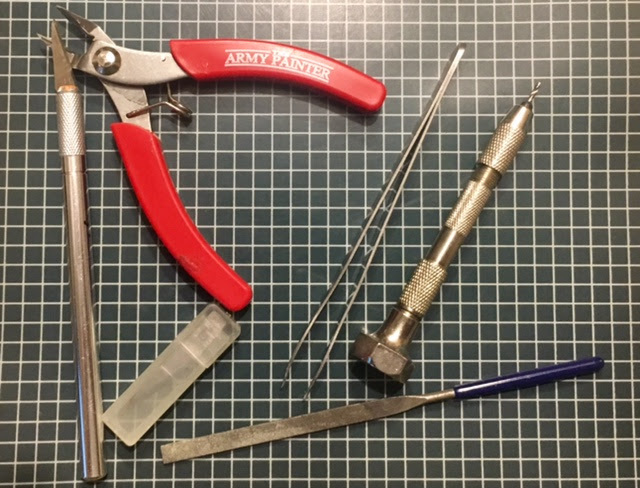 When I first started wargaming I would use tools that I could find but as these weren't meant for the jobs I was putting them to I broke down and bought the kit. It definitely made working on miniatures much easier. I did find that once I started using the file I wanted to get more in different sizes but when I need to file and the one from this kit would work I always used it. This probably sounds like a commercial but I have not been paid or given the toolkit for free to review. I bought it years ago and still use them first when I begin a project. 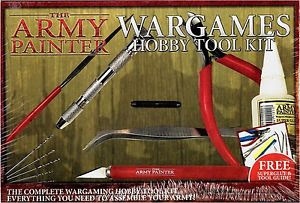 If you're new to wargaming or just need some new tools I can recommend this kit very much.